A new two-way, whole school educational communication platform for the UK is launching at Bett, the educational technology trade show, on 25th January 2017. 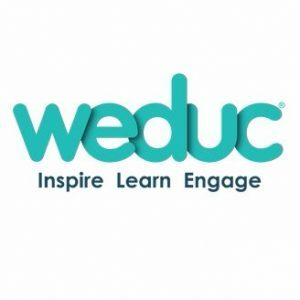 The software product, called Weduc, from education technology experts Accrosoft, will enhance communication and engagement between parents, teachers, and students to a level that no other education product has done before. A major benefit of Weduc is the high level of built-in, targeted communication it provides. It facilitates two-way engagement, and provides multiple roots of communication and involvement, allowing the school to choose the most appropriate channel of communication – for example, SMS, Push Notification, Email, Chat, Notice, Social Media – for the correct situation. By using the highly configurable and secure cloud-based network to exchange messages, photos, videos and achievements, teachers can bring parents closer to the activities that students engage in when they are at school, and, unlike a public website, all communication takes place within a completely private and secure environment. Weduc makes it possible to manage classes, tests and assessments whilst providing a safe location for all with secure access to post content, comments and pictures. Already deployed in Europe by over 100 thousand people from more than 300 institutions, Weduc integrates modern management and LMS – Learning Management System – tools with a controlled environment, enabling communication and engagement between a wide range of audiences, including public organisations, private teaching entities, schools, academies, associations, franchising networks, companies and banks. Jason Staniforth, Marketing Director, Weduc said, “The Weduc platform is a social network inspired, communication and engagement platform that offers complete security for all users whilst adding an enhanced point of interaction and knowledge sharing between students, teachers, parents and all involved in the education process. The system has proved highly successful in Europe, and we know that it will do equally well in the UK.